Remember to live, because Remember you die.. I, like a lot of people get reminiscent of the past, thinking of happy times spent with family when young and so on. Unlike some though, these memories are now somewhat tainted, while I had grown up with quaint pride and a certain amount of respect with my older sisters (siblings) accomplishments etc (now ‘Gone With The Wind’ lol). It’s quite sad how far we’ve grown apart; to a point of fragmentation in a family that is now lucky if they ‘speak at all’ to one another. Both parents have since passed away and thinking about how my Mother would see the situation, with any family ‘connection/bond’ lost: sadder still as the following Anne Frank quote, is a good description on how she felt about life where lies and petty grievances come into play. Interesting also that, as the youngest I still ‘feel connected’ with the good manners I was brought up with. 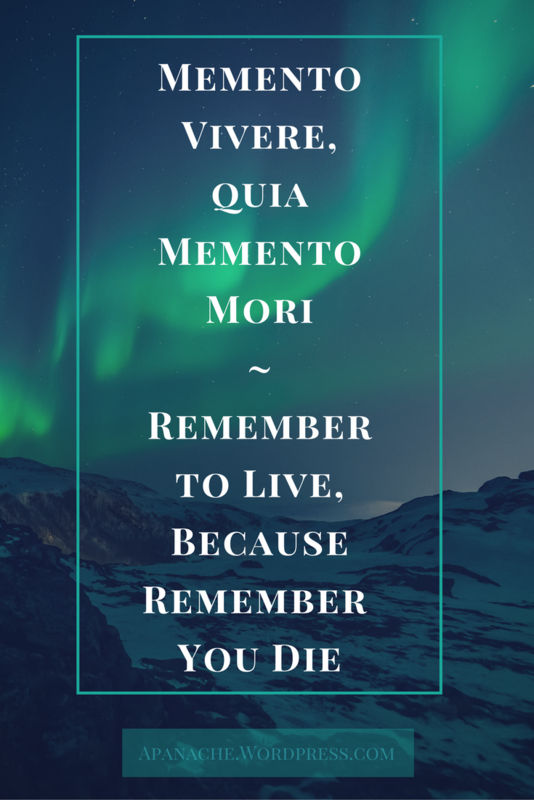 Now on to the ‘title’ of my post and reason for it… ‘Memento Vivere’, I first came across this with the other well-known quote ‘Memento Mori’ therefore deciding on the title and referring to both. This got me thinking of this fragmented family of mine, and how sad it is that they are willing to let things go unspoken, unresolved; far worse than you would a ‘good friend’, perhaps also for ‘all time’. With my mother in mind, whom would never let the sun go down with even the slightest of arguments in ‘the air’. Derived from the Latin imperative Memento Vivere, meaning “Remember to live” which was itself engendered by the admonition Memento Mori, meaning “Remember you die”. Memento Mori: The medieval Latin theory and practice of reflection on mortality, especially as a means of considering the vanity of earthly life and the transient nature of all earthly goods and pursuits. It serves to remind us of our own mortality, of our mistakes and failures, of the inevitable transformation of life into death.. Therefore: Remember to live because Remember you die. As life is fleetingly short at best, so why not ‘stay true’? Values, sincerity and honesty still matter. ‘Taking responsibility for one’s actions’ was a quote used by my Father, referring to ‘being an adult’ so very interesting indeed. Letting things go unresolved for decades is unhealthy, also not a good thing to ‘pass on’. 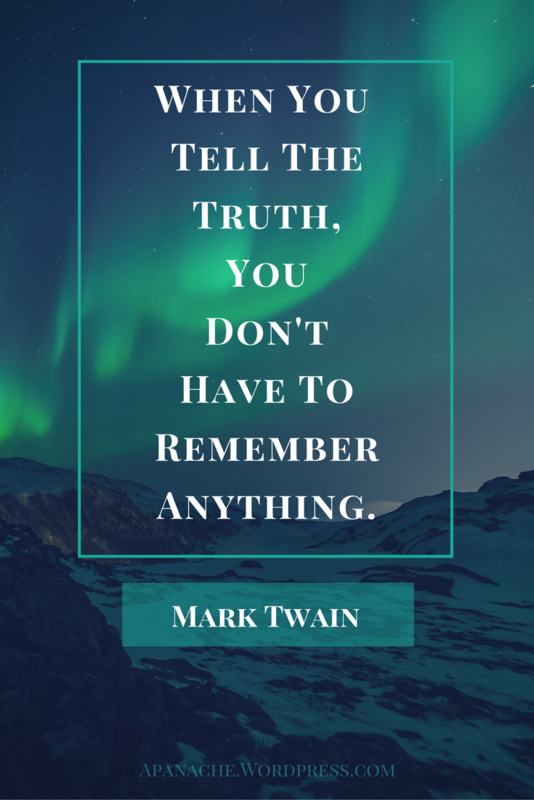 Let’s face it, once someone starts lies circulating, it perpetuates and grows into rumors and then something which becomes built upon throughout time and causing more destructive outcomes and a lot of pain ‘all round’. Surely not thinking of the consequences, it is then impossible to ‘break apart’, because not one of them will admit to having lied in the first place. Well, it leaves me speechless nonetheless that it is now a habit, passed on to the ‘offspring’ and further, who in turn take it and run with it, in whatever way they like. Being the youngest, as I’ve mentioned and with an only daughter (who is an Amazing person!) I’m in one way saddened that my family being so incommunicable for her to have ‘known’ them.. (yes, past tense as I don’t see the situation ever changing) but I sadly must admit, it’s who I ‘remember them to be’ and not who they are anymore. Since I used to talk to them not all that long ago, and hearing all sides of different situations… it is ‘fathomless’ to me and tried not having an opinion on any of it was not that hard, until the cannons aimed at me! lol, suffice to quote my mother: ‘when you haven’t anything nice to say, say nothing at all’ will do me I guess! Generally, in today’s world we tend to spread out and live more isolated lifestyles but I miss the family connection. As ‘strong’ as I’d like to think of myself I’m still sensitive by nature and just know that my parents would be affected deeply by the state of things now among ‘them all’. 😦 Having a marketing background etc, it’s all about resolving issues and seeking answers to a problem but I’m afraid this one escapes me. “The true genius shudders at incompleteness – and usually prefers silence to saying something which is not everything it should be”. And which is more: you’ll be a Man, my son!